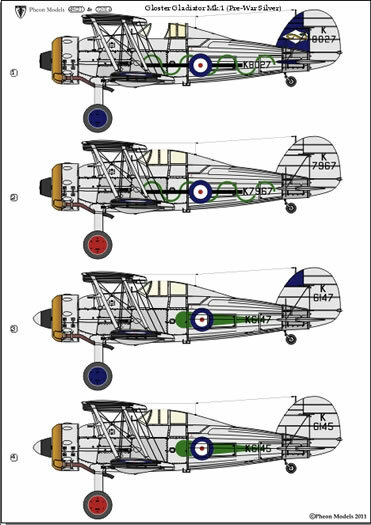 As our first venture into non WWI subjects, we have extended the "Pheon treatment" to the RAF between the wars with the first of a number of planned decal sets. 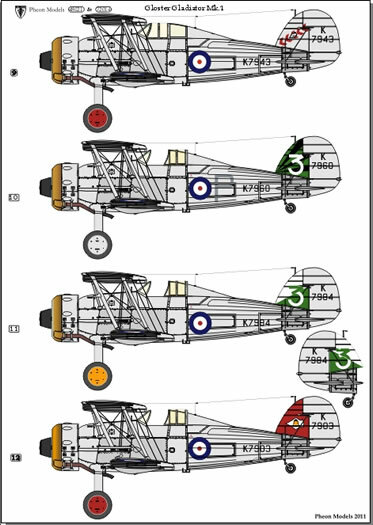 Starting right at the far end of the Silver Wings era with the Gloster Gladiator, these highly colourful sets cover 17 individual aircraft with squadron badges and other colourful markings printed in TEN colours on one sheet, serials (8" & 20") in the correct styles for all the subjects and a variety of stencil markings on another and four sets of national markings on the third. 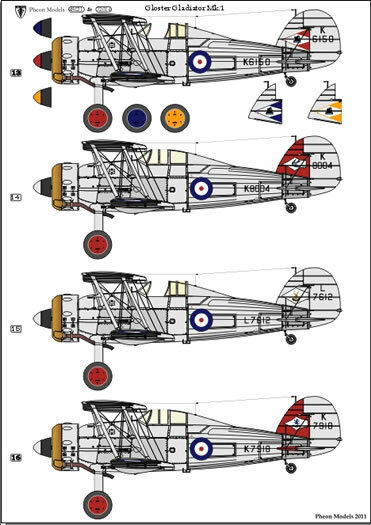 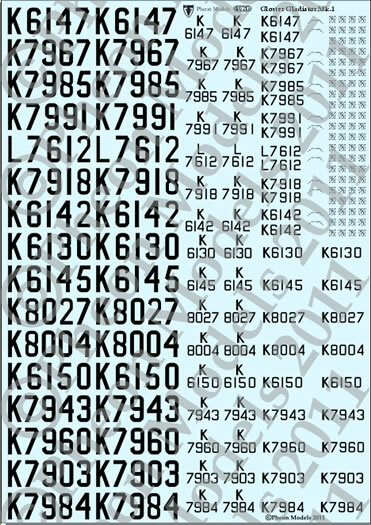 Full colour artwork on five A4 pages of glossy photo paper in the usual style and a detailed booklet are common to both scales and in [b]48th scale[/b] there will be also be a [b]pre-printed assembly jig[/b], to ensure correct alignment of the upper wing of the Roden kit. 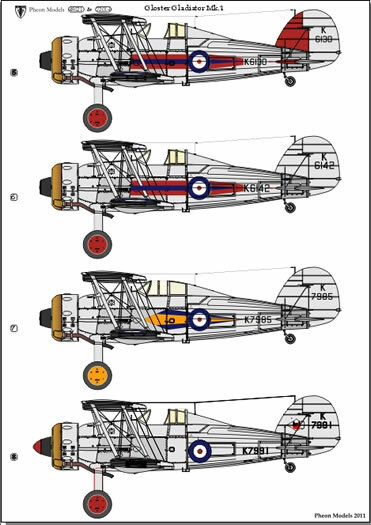 We will send you a Paypal request (or bank transfer details - your choice) for payment only when the decals are ready to send out. 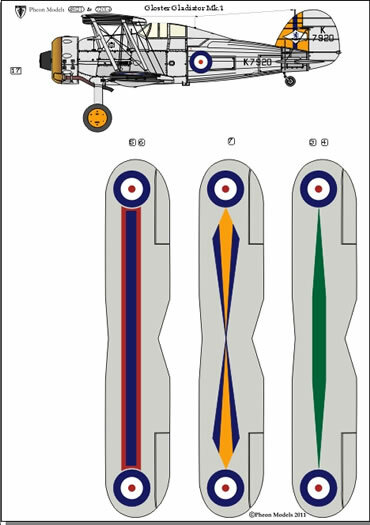 A new resin cowling (no more juggling three separate sections with joints in the cylider head bulges!) 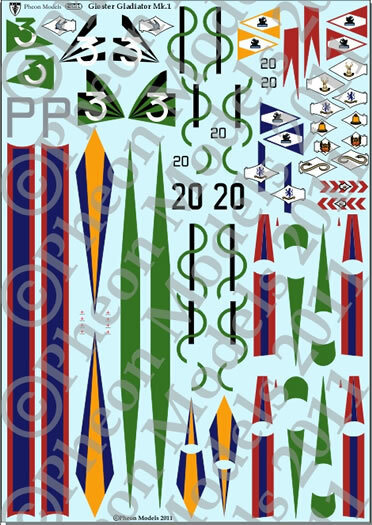 and some other replacement parts designed for the 1/48th Roden kits, are in preparation by Brian Fawcett now. 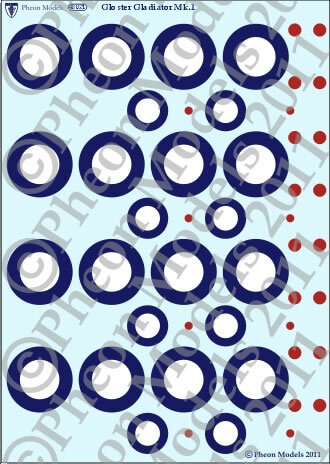 More details soon!